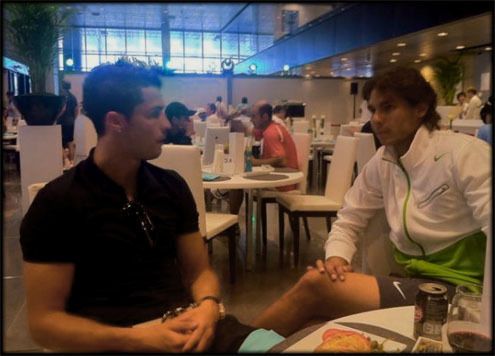 ﻿ Rafael Nadal: "I prefer this generous Cristiano Ronaldo version"
20.10.2011 » Rafael Nadal: "I prefer this generous Cristiano Ronaldo version"
The Spanish tennis player, Rafael Nadal, is a confessed Real Madrid fan and every now and then, he comments on topics related to the club. This week, the Majorcan pointed out that Cristiano Ronaldo has been playing in a different way from last year, by being more generous with his teammates when it comes to assist them for goals. 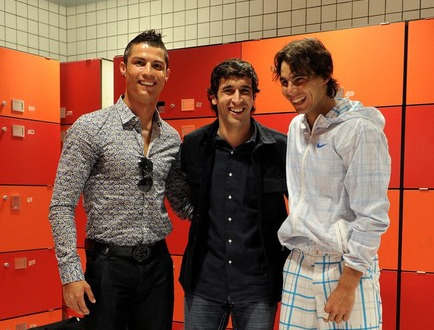 It's no secret to anyone that Rafael Nadal is a devoted Real Madrid fan. Being one of the greatest tennis players of his generation, Nadal doesn't get tired of following everything related to the club. This week, the Majorcan had a few remarks on how Cristiano Ronaldo has changed, compared to last season. Rafa believes that we're in presence of a more altruistic player, who now shows bigger concerns towards his teammates possibilities of also scoring goals. Rafael Nadal: "This season, Ronaldo is also making an effort so that his teammates are granted with goalscoring chances and not only creating opportunities for himself. From my point of view, that's the best thing he can do for the team. If I was forced to pick between that Cristiano Ronaldo from last season (who scored 54 goals) and the one from this year, I would go with this one. 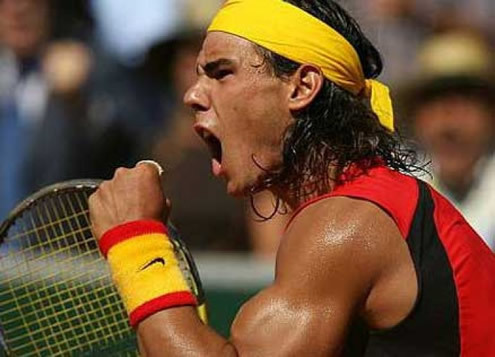 ", said Nadal in an attempt to emphasize how unselfish Cristiano Ronaldo has been during this season, as Mourinho also noted a couple of days ago. Even though Cristiano Ronaldo hasn't been scoring in the last matches (he couldn't find the back of the net in the last 3 Real Madrid games), the Portuguese player has 12 appearances for Real Madrid this season, from which he scored a total ammount of 9 goals. What has been changing a lot when compared to last year, is Ronaldo's assists number, since CR7 already counts with 7 assists so far (5 in La Liga and 2 in the UEFA Champions League), as you may check in Cristiano Ronaldo profile at WhoScored.com. Will we keep witnessing this unselfish Cristiano Ronaldo version in the matches to come? Is this really benefiting Real Madrid, as being less dependent on their biggest star makes them more unpredictable? Last games appear to support this thesis, but it's probably too soon to corroborate this idea, as well as affirming peremptorily that Cristiano Ronaldo won't recover his killer instinct and start taking his goalscoring chances, instead of assisting others. Next chapter will take place this Saturday, as Real Madrid will have a very tough challenge ahead, when visiting Manuel Pellegrini's Malaga team, 2 hours before Barcelona receives Sevilla, in the Camp Nou. Real Madrid will now play against Malaga for La Liga, next Saturday. You can watch Malaga vs Real Madrid online, in our Football Live Streams section. The countdown clock timer, displaying the time left for the next Ronaldo game, is shown on the top right corner of all pages. Besides that game, you can watch Manchester United vs Manchester City streaming this Sunday, but the just day before, you can also follow Barcelona vs Sevilla live. All streamings are provided from our "Live" section.